In my last post I shared that Laura, the manager of the State Park Lakes Complex here in Hurricane Utah, gave Bill and I tickets to go see Sister Act, with Chuck and Helen, who are the winter camp hosts here at Quail Lake. Chuck and Helen don’t usually arrive for their winter duties until October, but this year they came back early because they are heading up some special projects that need to be completed before October… So, Laura wanted Bill and I to have an opportunity to get to know Chuck and Helen a little better outside of the work environment, and going to see Sister Act together at the AMAZING Tuacahn Amphitheatre in Ivins Utah, which is about 20 miles from Quail Lake, really fit the bill. 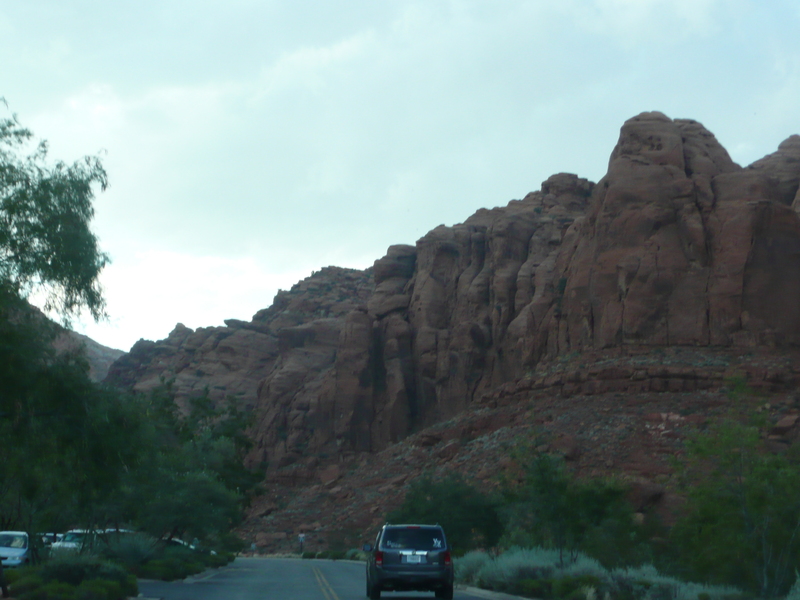 From the parking lot you enter a beautiful lighted walkway with waterways running through the center of the walkway all set against the backdrop of a souring red mountain. So beautiful and inviting…. 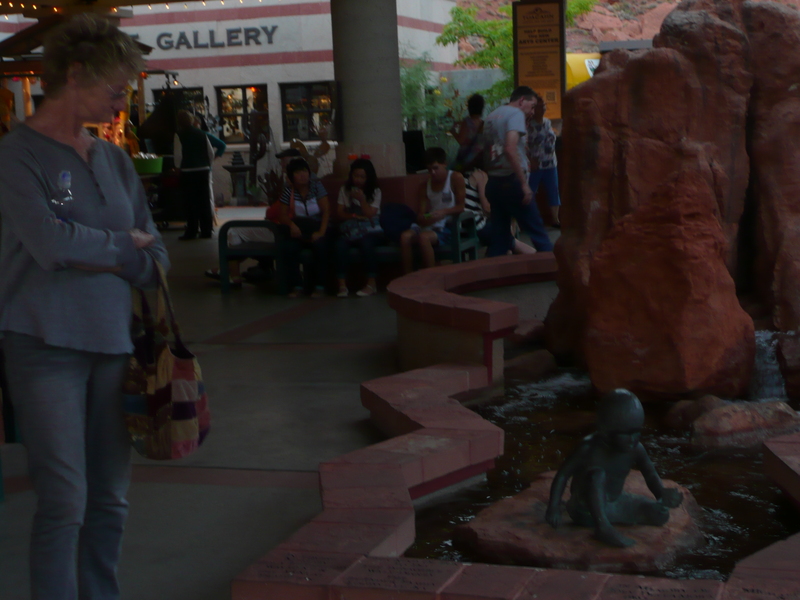 As you make your way into the actual amphitheater entrance you are greeted by more rushing waterways, all kinds of artistic sculptures, an art gallery, gift gallery, and of course, a concession area. 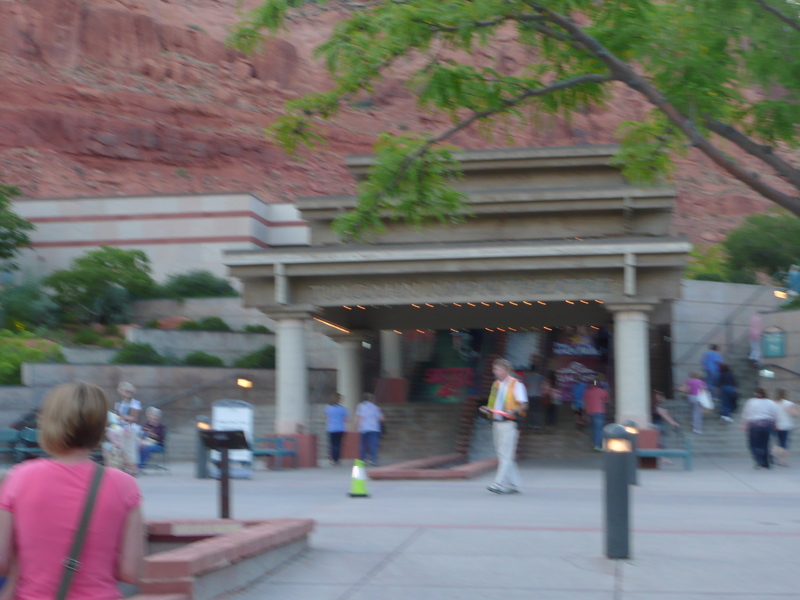 Then you enter the Tuacahn Amphitheater itself and it is just FABULOUS!!! As we waited for the show to begin, we enjoyed people watching as they filed into the 1,920 seat amphitheatre that was dedicated on April 8th, 1995. 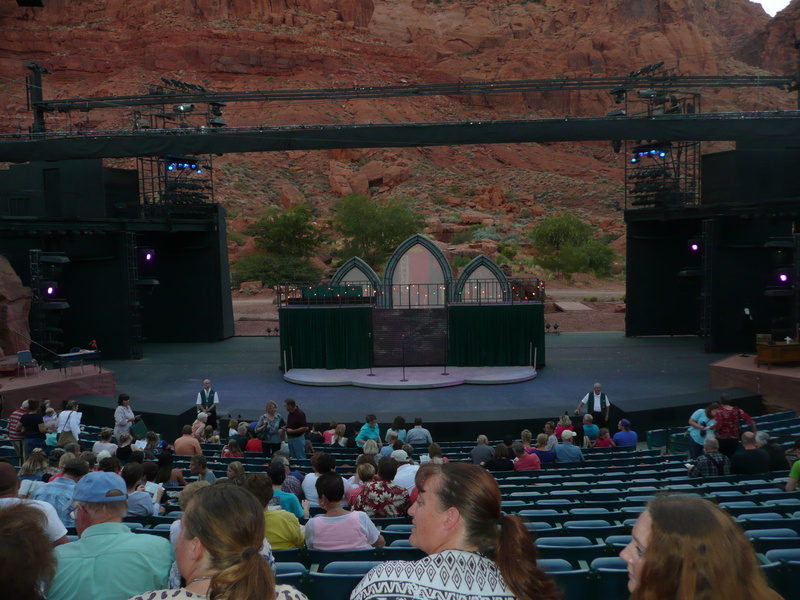 Tuacahn Amphitheatre annually presents live music concerts, large-scale musical theatre productions, and a Christmas festival. But we came to see Sister Act, and WOW, did they ever deliver it up in style!!! All of the actors were just wonderful, but, Brit West played the lead role and has one of the most beautiful and powerful voices I’ve ever heard. That girl can sing!! The next day when I saw Laura and was thanking her again for the tickets and shared with her how much we enjoyed our evening… she told me that the Tuacahn Amphitheatre’s stage is designed to hold thousands of gallons of water and that when they present productions like Utah, where the early pioneers that came to settle Utah were flooded out, the stage can produce outstanding rain storms with lightning, thunder, and the entire stage is covered with rushing flood waters. She said that play has actors up in the mountain that is the backdrop to the stage and it really looks like an actual major flood… OMG, can you just imagine that? I would LOVE to see that… I will let you know if that happens before we leave in October..